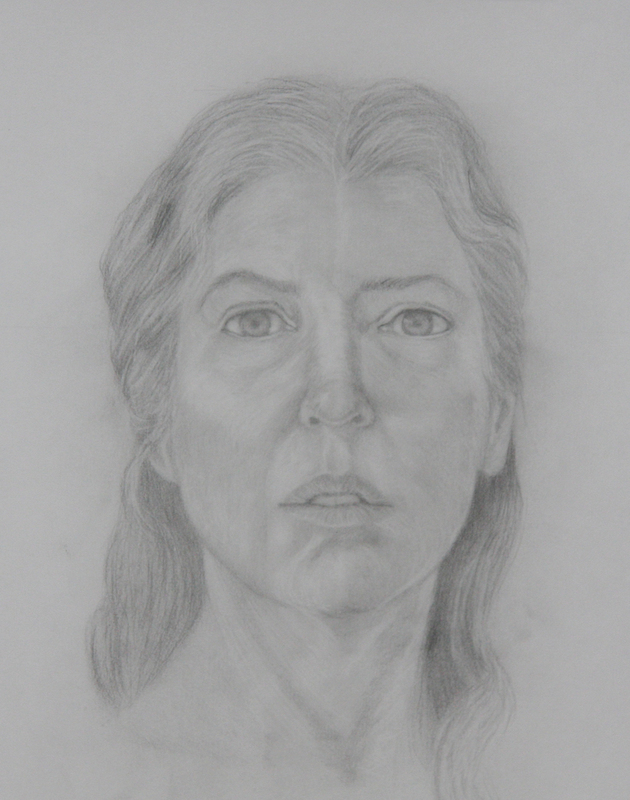 Well nothing like an upcoming portrait workshop from life to get me moving! Actually I had planned on dedicating a big chunk of time this year to focusing on life drawing but knowing I have to draw and then paint a portrait from life in less than 5 days is HUGE incentive to put in the practice hours. This is my effort for today and while there are so many areas that I am not happy with, it is what it is and I think overall it is a good start. I find drawing from a mirror tricky and it seems to take me quite a while to get my bearings but then things get better and more natural feeling. My goal is to do a sketch a day (at least weekdays) either in the mirror, from a cast I bought last year or from a family member if I can pin them down long enough. I am hoping if I put the hours in before the workshop in November I can focus more of my efforts on form modeling, color mixing and paint handling and that the drawing stages will come easily....plus it is just a whole lot of fun!